The wood of aromas, the valley of colours. 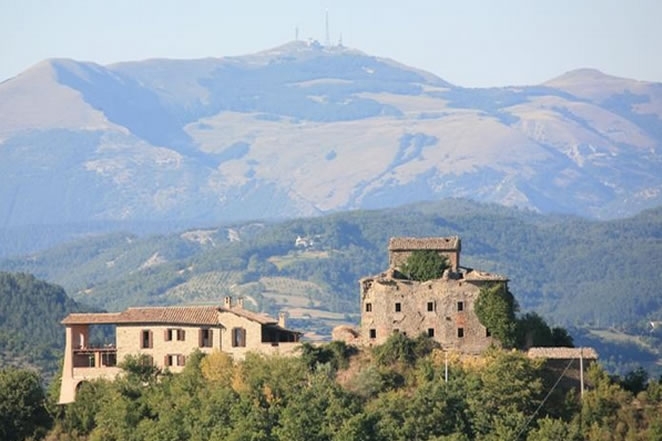 The village of Pietralunga lies on top of a hill overlooking the Carpinella Valley, in the internal area of the Umbria-Marche Apennines, between the Upper Tiber Valley and the ridge of Serra di Burano. A peculiar feature of this area is the endless succession of hills spread out in winding valleys before reaching the Apennine watershed. The hill slopes but also the valley floors are covered with dense forests of quercus cerrus and oak trees giving the impression of a primitive landscape. 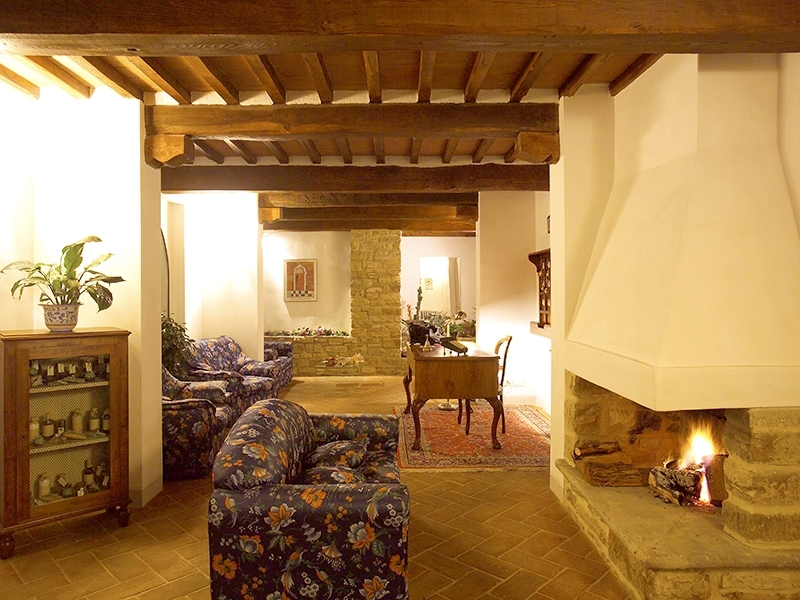 The ancient type of housing settlement with “scattered houses”, did not change until the 1960s and 1970s when many farms were abandoned owing to great migrations to the Tiber Valley and abroad. The number of inhabitants fell from 6,000 to the current 2,300. However, the centre of the village did not suffer losses on the contrary it continues to grow and to increase its artisanal and commercial activities. 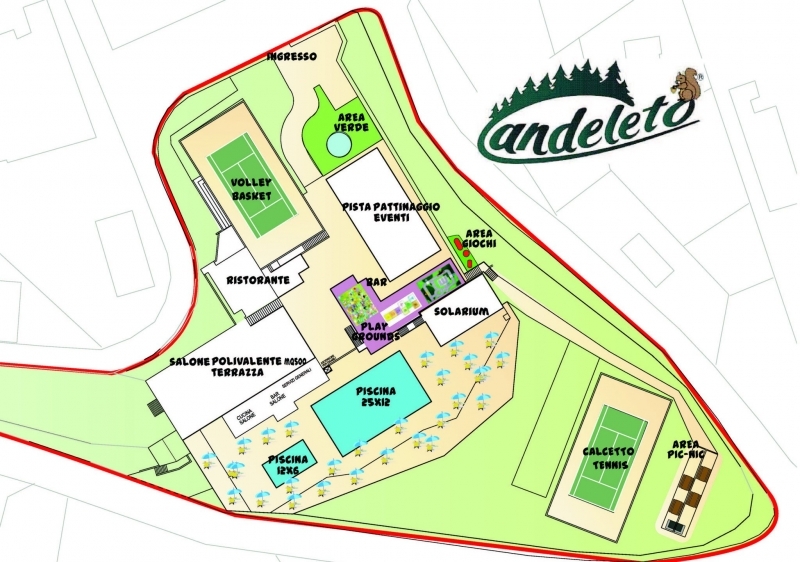 The most obvious result of this radical change is the expansion of the forest of Pietralunga-Bocca Serriola, which incorporates most of the abandoned farms, reaching the current extension of more than 10,000 hectares. Today it is the main “green lung” of our region and is slowly becoming the most important economic source for local people thanks to new trends in tourism. 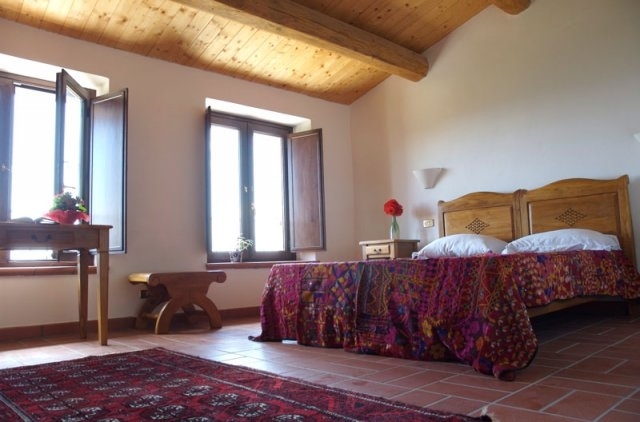 Both Italian and foreign tourists are increasingly looking for beautiful scenery and farmhouses far from well-known and crowded destinations. After being refurbished the old abandoned farms have become the focus of new tourist trends: both in summer, spring, autumn and at weekends, holiday farms, country houses and country inns have become favourite destinations for walkers and gourmets in search of quality products that our region can genuinely offer: meats, cold meats, wild berries , mushrooms and the most extraordinary natural product of our region: the white truffle. 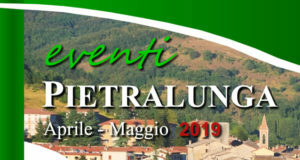 Every year the traditional Truffle and White Potato Exhibition-market, held in October, draws thousands of people to the alleys of the ancient village, where they can taste the most interesting gastronomic products of this unspoilt area. 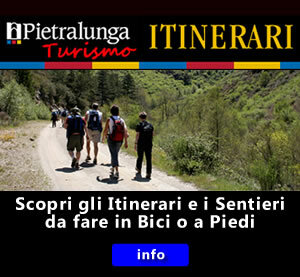 (Pietralunga tel.n.075.9460296). In addition to its fine aromas, the forest of Pietralunga is famous for another”sensorial” aspect; the colours taken on by leaves in mixed forests between October and November: from the yellow of oaks, hornbeams and beech trees, to the red of maples and rowans, to the vermilion of brambles and cornel trees until the burgundy red colour of manna ashes. 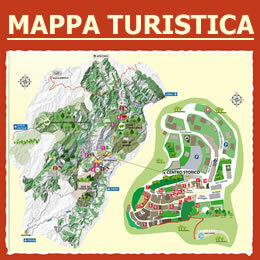 So the Carpina Valley, surrounded by the garish colours of its woods, has earned the nickname of the Valley of Colours. It offers its astonished visitors a unique practice in Italy: “leaf peeping”: nature watching through the keyhole by joining guided walks in search of the most beautiful autumn colours. 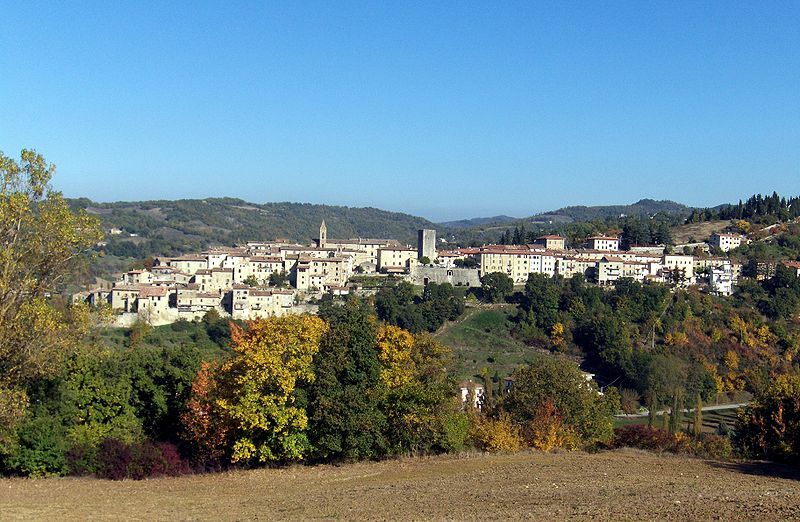 However, the Valley of Colours has also historical origins: in the Renaissance period (16th-18th centuries), several mills, spread along the winding course of the Carpina and Carpinella rivers, were used for grinding cereals but also for processing tictorial trees. In particular the “guado” tree was processed to obtain the indigo colour required by the textile industry in nearby Florence. The Carpina valley, oasis of peace and destination for sensitive souls, can easily attract tourists, simply by its natural heritage. It offers a fairytale-like landscape: chasing hills, valleys that open and close, offering continuous discoveries to visitors wishing to explore a natural world of the past. 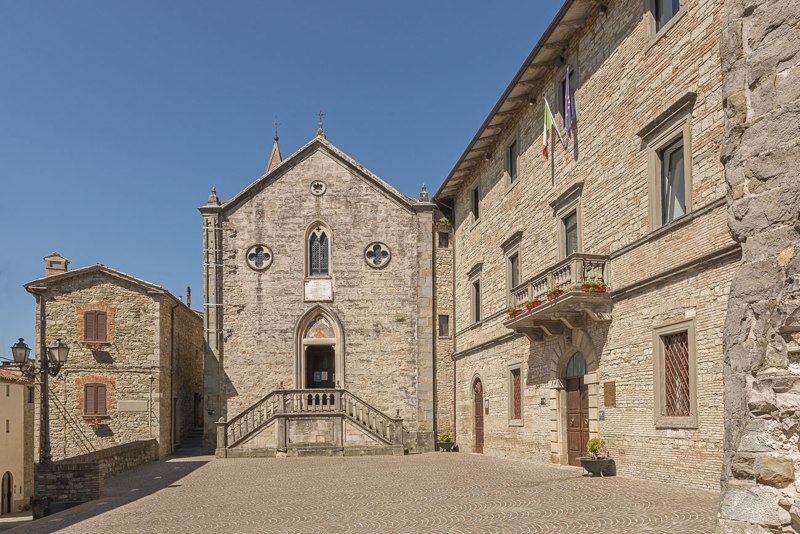 At the same time, in all seasons, the narrow lanes of the small town of Pietralunga come alive with curious visitors and gourmets looking for typical handmade and gastronomic products: wrought iron, pottery, meats, berries, and his majesty: the white truffle.